How Green is Bamboo Clothing? Blog Eco Friendly Bamboo Clothing and Fabrics, or is it? Bamboo is one of the most sustainable materials available today, but does that sustainability and eco-friendly label extend to bamboo clothes? The sad truth is, mostly no. The process to transform bamboo into clothing involves quite a bit of energy and produces chemical waste with environmental and health concerns. 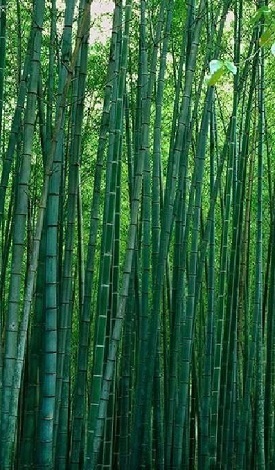 Bamboo is turned into yarn by cooking the bamboo plant in strong chemical solvents to create a viscose solution. This solution is reconstructed into a cellulose fiber which is spun into yarn to create clothing, linens, and other fabrics and cloths. Textiles derived from bamboo pulp are really just rayon fibers made through a harmful chemical process which definitely isn’t green. The viscose processing for bamboo pulp is similar to that of wood-pulp viscose and produces the same chemicals, one of the worst being carbon disulfide which, when exposed to high concentrations, can cause life threatening nervous system complications. Environmentally, this may not be any worse than other types of non-organic fabrics such as non-organic cotton or poly-blends, but the marketing often reeks of greenwashing. Many of us (including me) have been misled. The positive news from all of this is bamboo cellulose is suitable for a closed-loop viscose process, allowing for the capture and re-use of chemical solvents used in processing. There have also been strides in alternative processing using natural enzymes in place of chemical solvents, however, these manufacturing practices are limited to a very small percentage of bamboo products.